The Generation Robot series is supported by Mouser's valued suppliers. 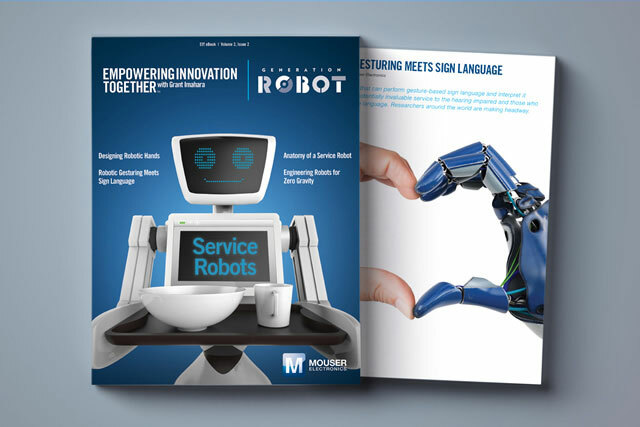 Mouser Electronics, Inc. announces the release of a new e-book titled Service Robots, the most recent offering in the Generation Robot series, part of Mouser's Empowering Innovation Together™ program. The Generation Robot series, hosted by Imahara, features five videos filmed in locations around the world, highlighting the people, companies and machines that are changing how we view and interact with robots. The series showcases everything from robotic theory to real-world robotic use cases that seem like science fiction but are, in reality, a glimpse at how we will navigate in an equally human and robot world. The Generation Robot series is supported by Mouser's valued suppliers Analog Devices, Intel®, Microchip Technology and Molex.